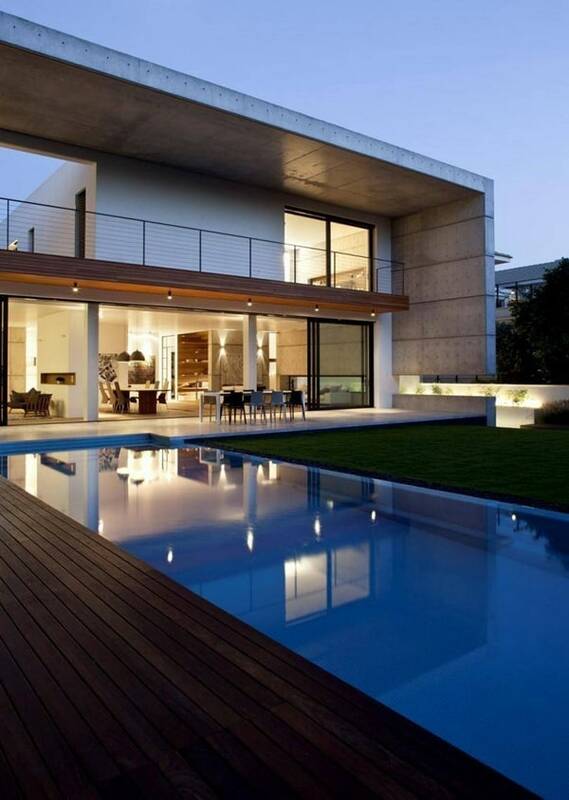 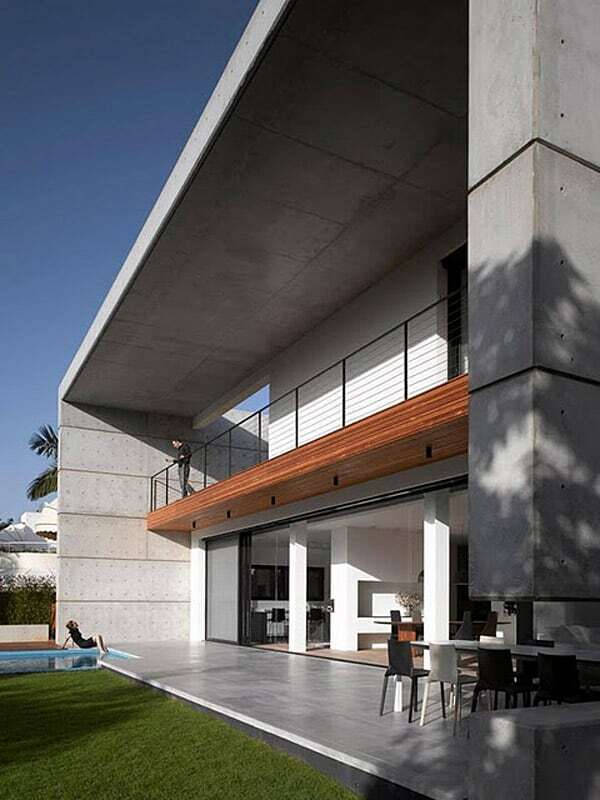 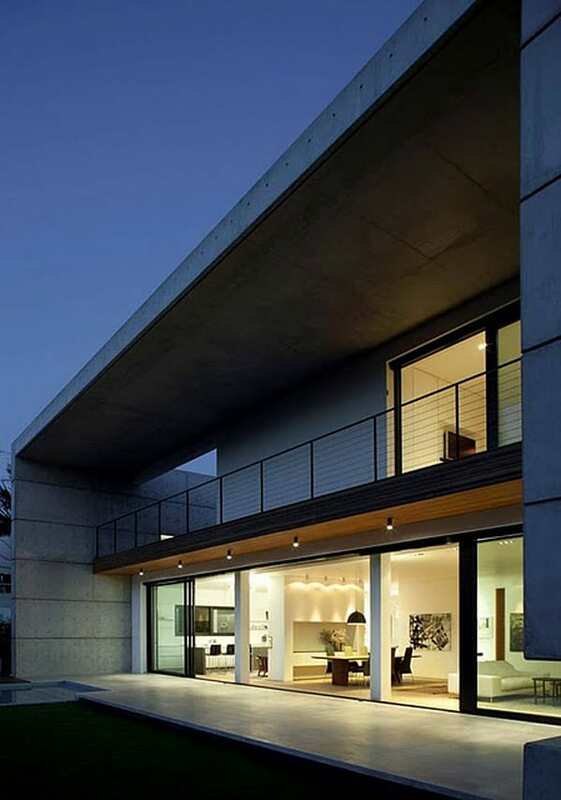 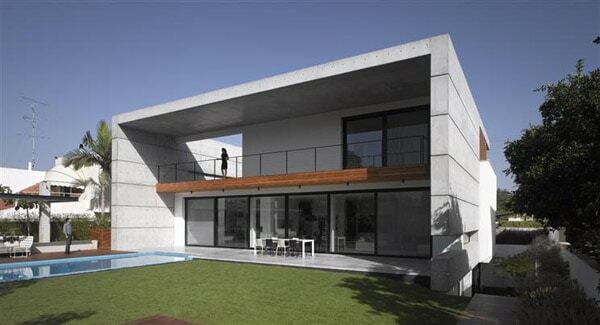 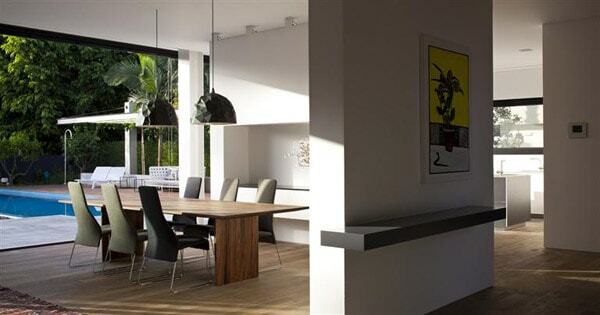 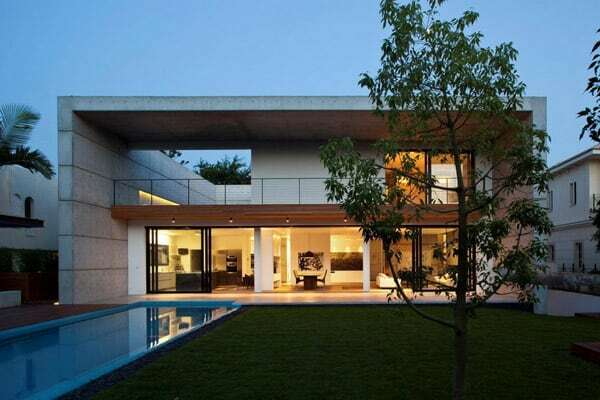 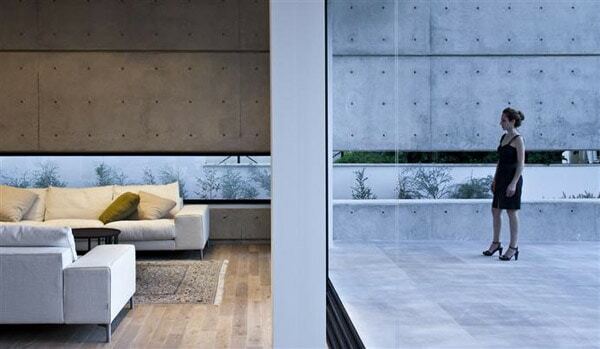 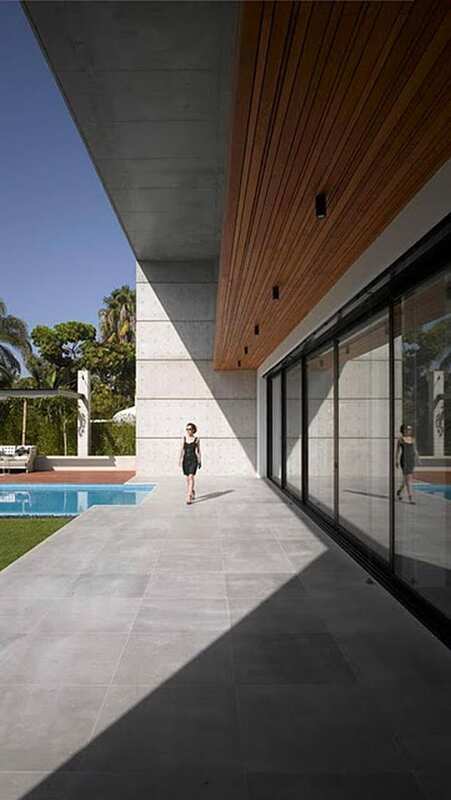 The Ramat Hasharon house 6 has been designed by as a single family home situated in the center of Israel. 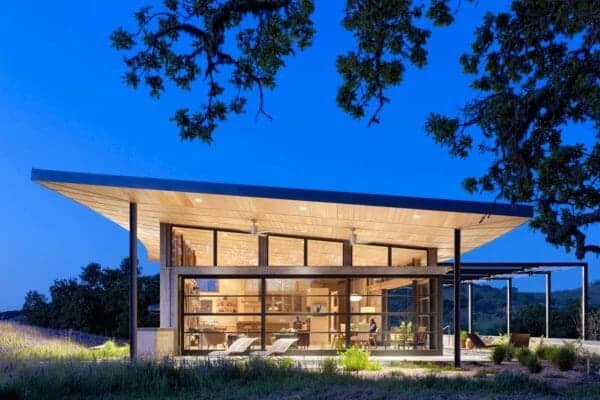 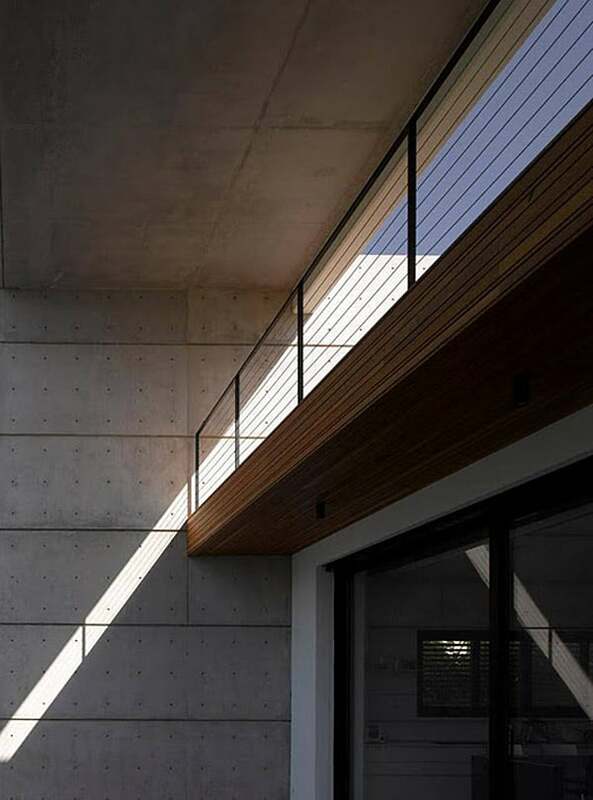 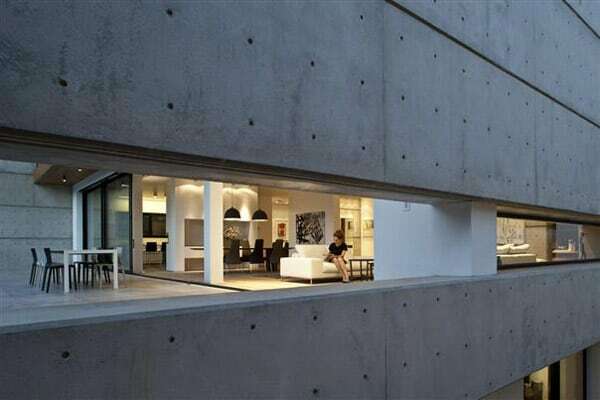 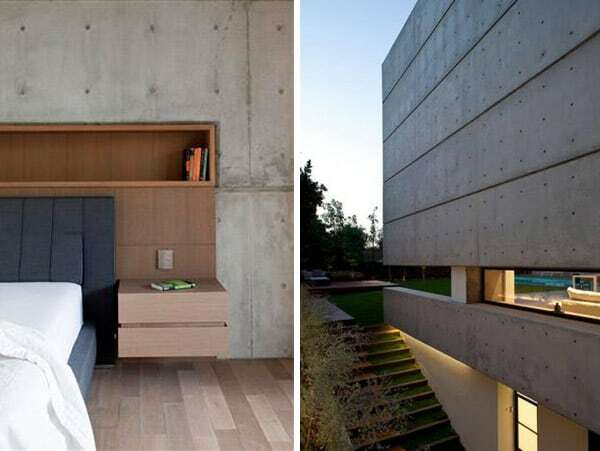 The architectural design of the 4,844 square foot (450 square meters) structure is based on an exposed and tight concrete mass that is used as a massive and obvious framework for the structure’s spaces. 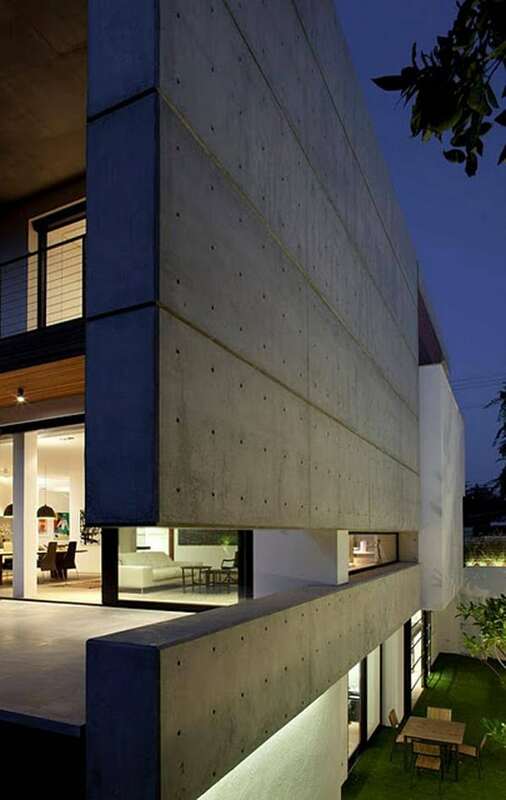 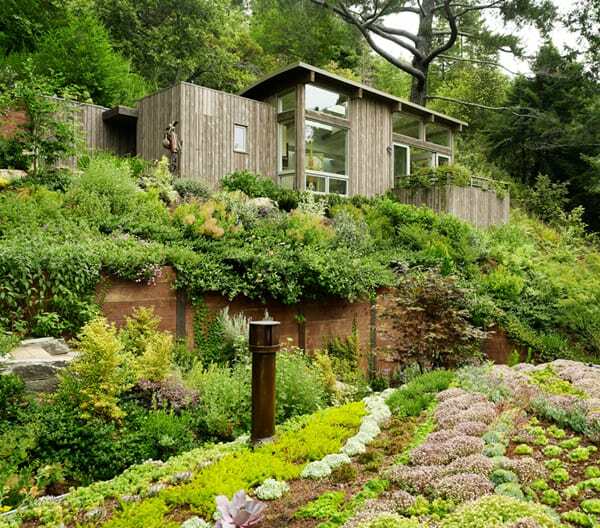 The concrete mass is timeless, almost frozen and primal with the materials used in its construction. 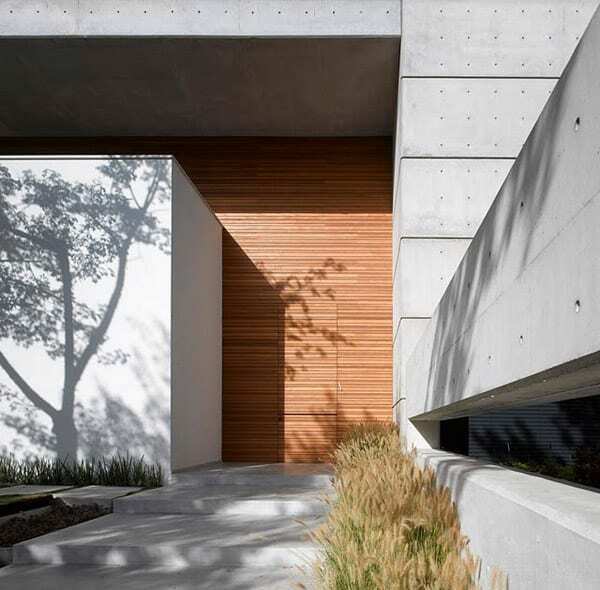 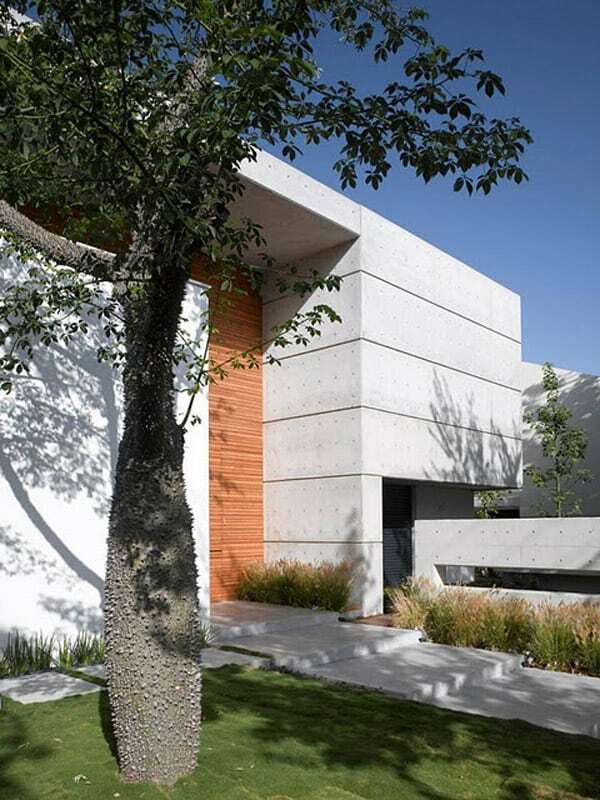 The central idea was to divide the concrete box with openings and divisions that create different relationships with the closed areas of concrete. 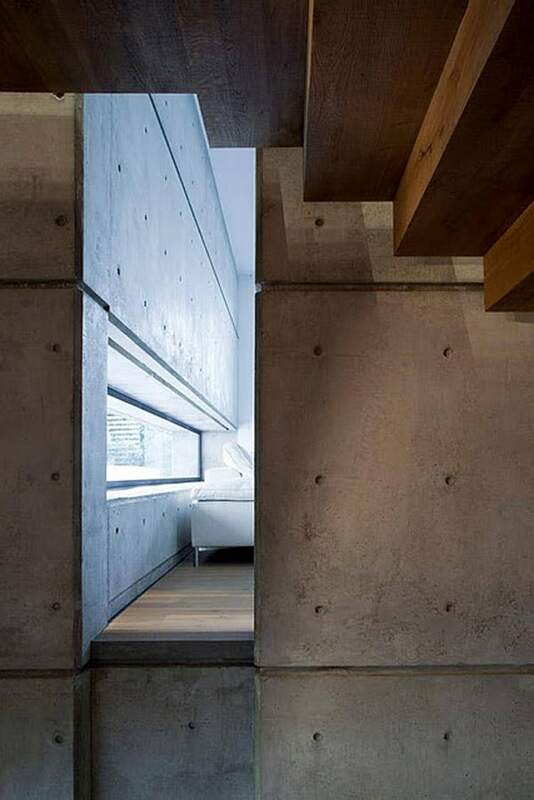 The range of divisions and openings in the structure created some openings in the building envelope that provide glimpses from the inside out and the opposite. 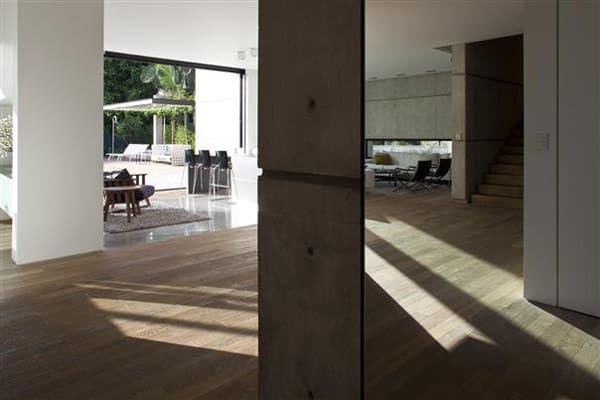 An example is a long, horizontal opening in the salon that crosses a central aluminum display and burst into the open and so negates the boundary between the inside and the outside. 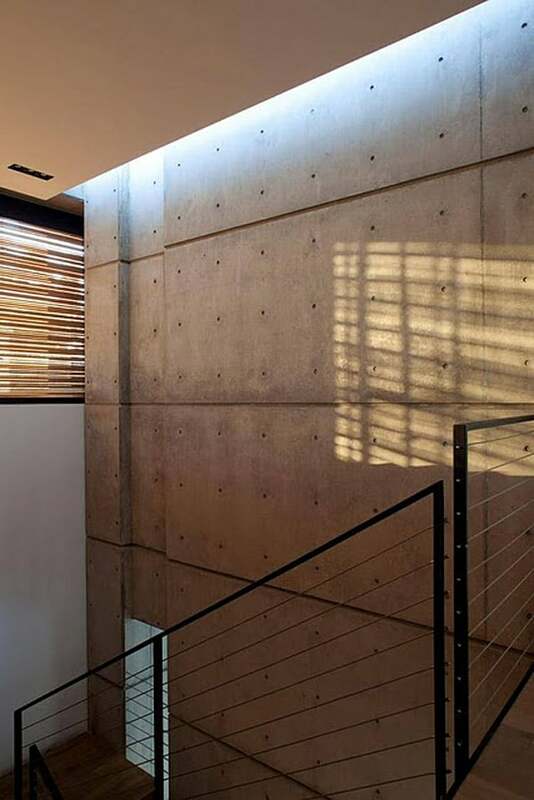 Some of the openings are virtual openings the length of the stairwell that create a sunken recess the entire length of the concrete wall that reveals the house to the outside. 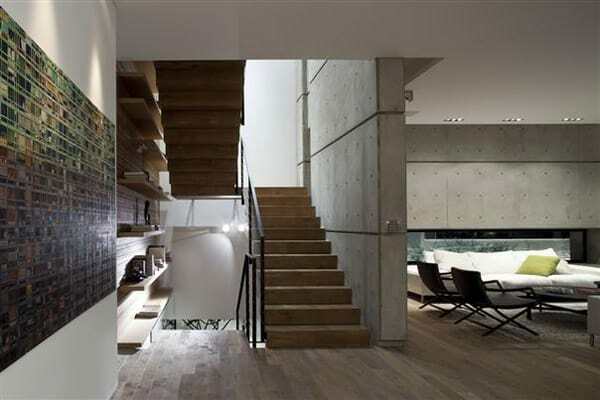 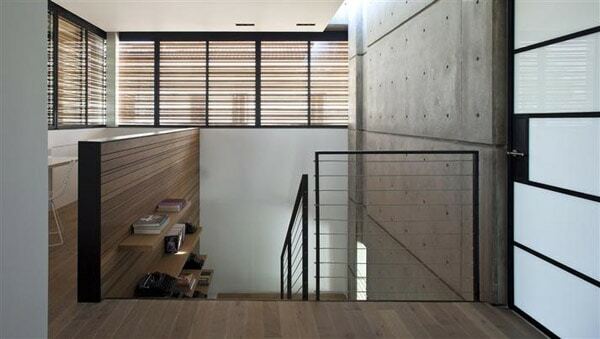 Some parts even allow for a glimpse into another area of the house. 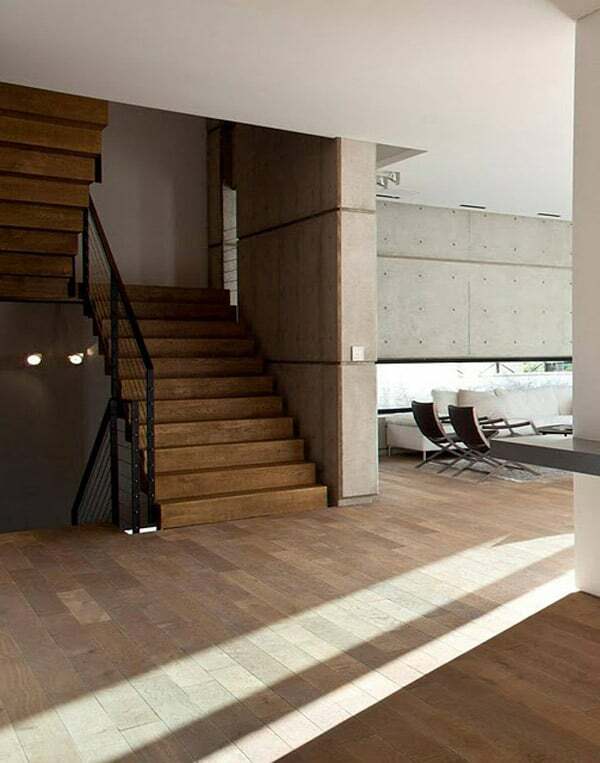 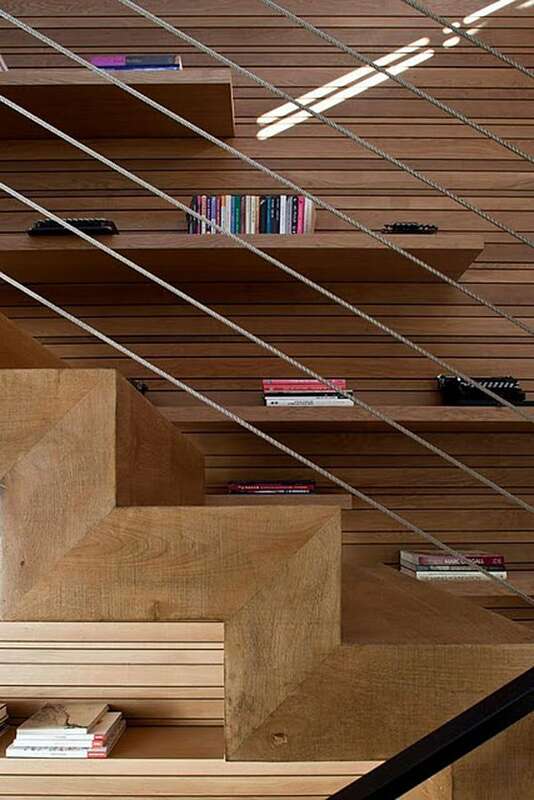 Others create divisions from other materials that are in contrast to the concrete, such as the entrance area that is entirely constructed from strips of teak and incorporates a vertical division that rotates to a horizontal position. 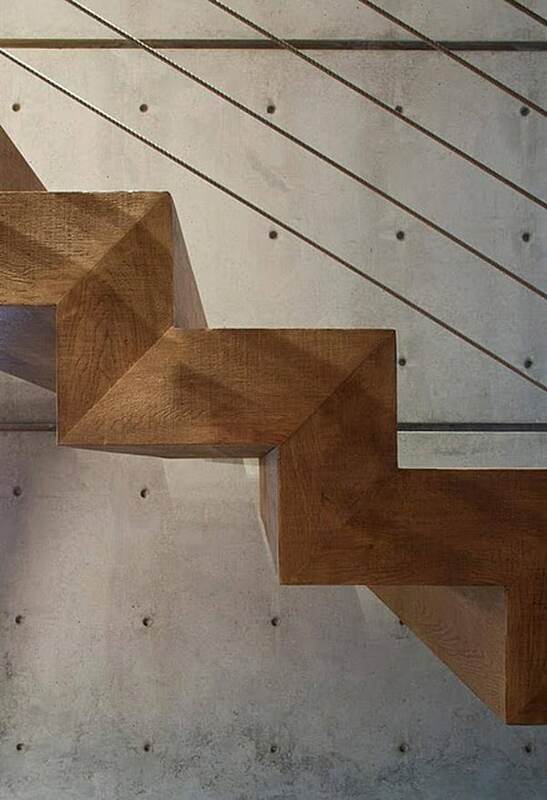 The wooden element crosses the mass and constitutes a dynamic and surprising element that stands in stark contrast to the solidity of the concrete envelope.